The Palermo’s property includes three vacant apartments on the upper floors. 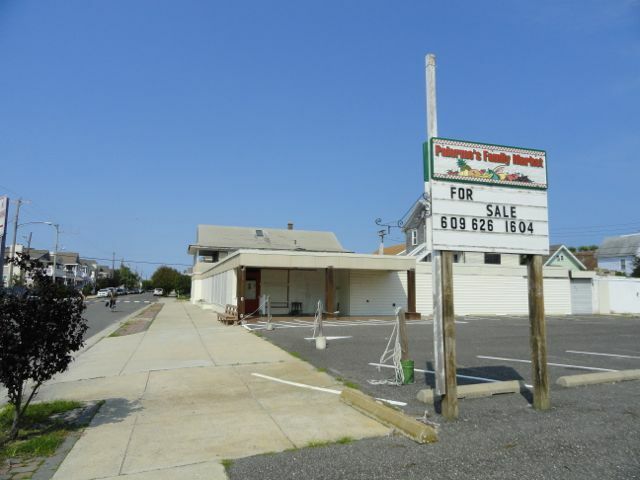 City Council on Thursday unanimously approved the first reading of an ordinance that rezones the property of the abandoned Palermo’s Family Market on the 400 block of Asbury Avenue to allow the construction of duplexes. 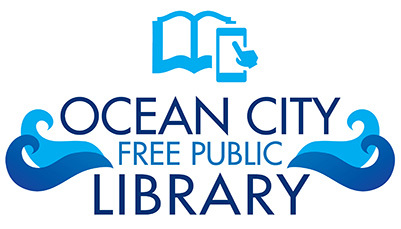 The Ocean City Planning Board will review the measure for consistency, and a public hearing and second reading of the ordinance is scheduled for Aug. 28. 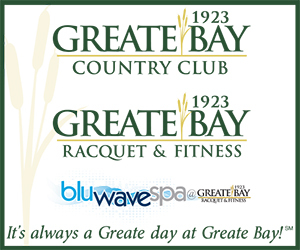 Council’s vote was an acknowledgement that maintaining a business zone does not necessarily maintain businesses. The market has been closed for four or five years, and the commercial property has deteriorated as it remained unsold. 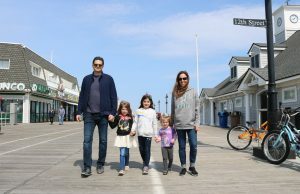 The market is one of many neighborhood businesses that disappeared as property values soared and the year-round population fell in Ocean City over the past two decades. 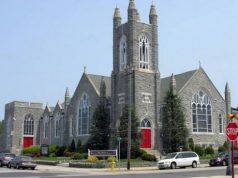 In a relatively brief discussion, council members lamented the loss of another business but suggested that a residential zone is appropriate and consistent with with the rest of nearby Asbury Avenue. 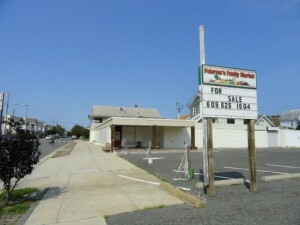 The site of the former Palermo’s Market could be rezoned to allow the construction of duplexes on the block of Asbury Avenue between Fourth and Fifth Streets in Ocean City, NJ. “You don’t like to see neighborhood businesses go away, but at the same time, you have to be practical,” Councilman Keith Hartzell said. 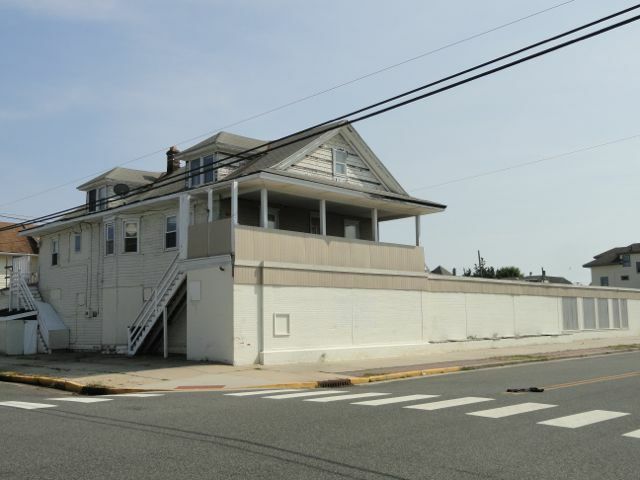 The ordinance calls for rezoning the ocean side of Asbury Avenue between Fourth and Fifth streets (and two mixed-use lots across the street) for duplexes with 30-foot frontages. The area is currently zoned for neighborhood business. Council members said they trust the Planning Board to review the ordinance for the most appropriate residential use. Council President Tony Wilson suggested density might be one consideration. Duplexes with 30-foot frontages typically are three-bedroom units, while those with 40-foot frontages can include five bedrooms. The family-owned neighborhood grocery (long known as Palermo’s Thriftway) opened at its currently location in the early 1950s. 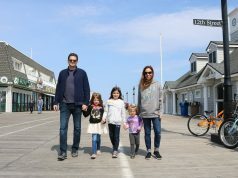 It began to close seasonally in the early 2000s and was permanently shuttered even before Superstorm Sandy in October 2012 flooded the property. It includes three vacant apartments on the upper floors. “The Planning Board has conducted a detailed and thorough evaluation of the area … and has concluded that a rezoning from the current Neighborhood Business (NB) and R2-40 to R2-30 is appropriate,” Planning Consultant Randy Scheule wrote in a memo to City Council. Scheule cited neighborhood characteristics, topography, post-Sandy building requirements and market conditions as reasons why the area is not conducive to commercial development. Jeff Sutherland, who has lived on the adjacent 400 block of Central Avenue for 22 years, said he’s in favor of zoning the property to residential. But he said it’s not right for the city to change the rules before seeking input from the neighborhood that will be impacted. Dale Braun, who lives on the nearby 300 block of West Avenue, suggested the story could have a happy ending. In a similar situation, his block contained a closed Wawa that could not sell as a commercial property over the course of several years. The block was rezoned to allow duplexes. Ten units have been built and nine sold already, Braun said. Only one has been used as a rental property. Braun’s block is part of a growing year-round section of West Avenue. 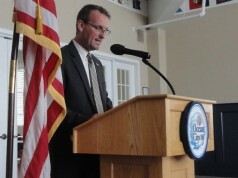 “What the neighborhood hoped for has been accomplished,” he said.